The Palmer Center for Chiropractic Research announces a commitment of $1.9 million to the Yale Center for Medical Informatics to support a partnership to form an Inter-Institutional Network for Chiropractic Research. The Network is a five-year multidisciplinary effort designed to facilitate chiropractic research across multiple institutions and disciplines. This partnership is a collaborative effort between the Palmer Center for Chiropractic Research and the Yale Center for Medical Informatics. The first action step will be to convene a steering committee of renowned experts to develop a chiropractic research agenda and establish teams of interdisciplinary researchers. These scientists will conduct projects aimed at improving the quality of chiropractic patient care. They also will collaborate on future grant applications to funding agencies such as the National Institutes of Health and the Department of Veterans Affairs. The Network will benefit from the unique strengths of the participating investigators and institutions, creating a chiropractic research portfolio that’s truly translational. Vice Chancellor for Research and Health Policy at Palmer College of Chiropractic Christine M. Goertz, D.C., Ph.D. (Palmer Center for Chiropractic Research) will be the network director, and Anthony J. Lisi, D.C. (Yale Center for Medical Informatics and VA Connecticut Healthcare System) will be a co-director. These investigators, along with collaborating faculty at the respective institutions, bring together complementary expertise in health services research, clinical practice, and health-care policy. 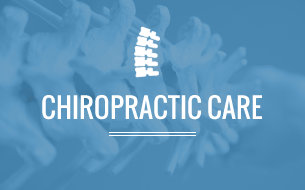 Together they will form a robust foundation to advance chiropractic science, practice and policy.